A storm system will take a perfect track for heavy snow in the Midwest, but will move too quickly to deepen enough. 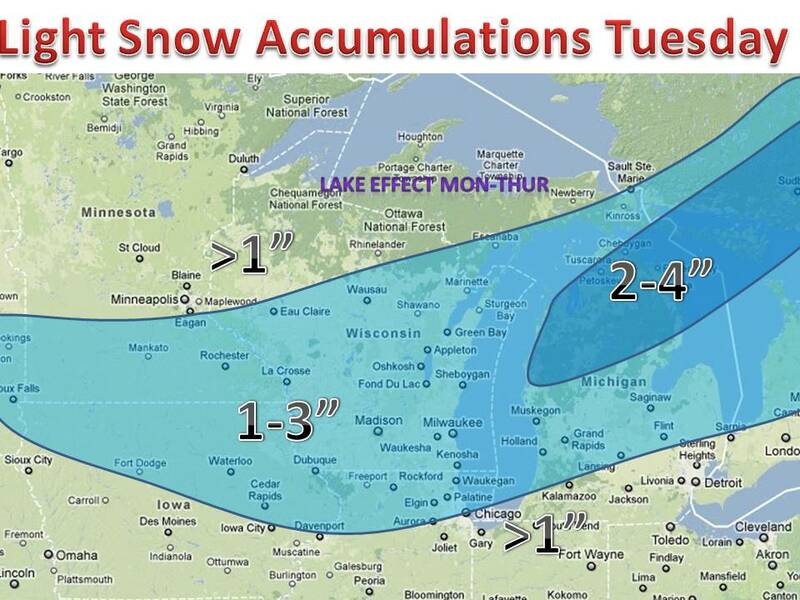 This will lead to minimal snow amounts throughout the midwest. 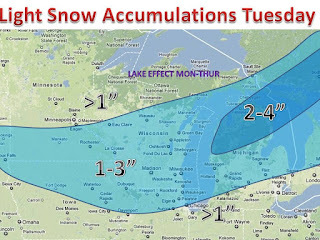 The storm will produce bands of snow which are very tough to forecast, but a general 1-3" can be expected in many areas, with 2-4" possibly 5" in northern Michigan. Areas on the west of the map can expect less than those on the east side. This is true because the low will deepen as it progresses to the east. Confidence is high with this forecast, but models range from a dusting to 6" of snow! So keep it here to midwest weather talk!